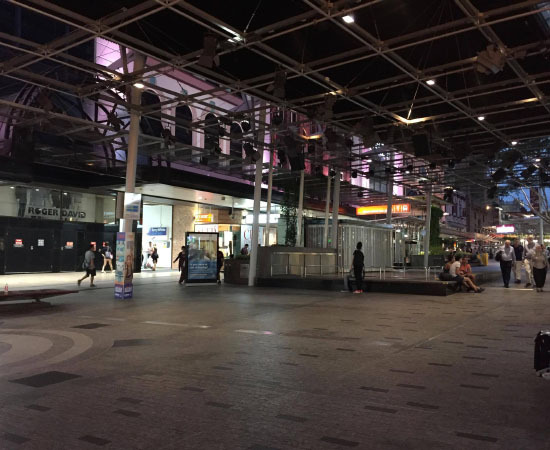 If you're a Brisbane local, you've likely walked past the Queen Street Mall Stage area before. It's that small elevated stage outside the Myer Centre, partway down Queen St.
Queen st is easily accessible via both train and bus. Queen street Bus Station is a couple minutes walk from the stage. Central Station is a ten minute walk away if you'd rather take the train. There's food and other amenities all round, however Comicstreet takes place outside in Wintery June, so perhaps bring a jacket.